Tonight the New Pet Behavior Seminar Series Continues – Nevada Humane Society | With Shelters located in Reno, and Carson City, the Nevada Humane Society Caring is a charitable, non-profit organization that accepts all pets, finds them homes, saves their lives, and is recognized as a leader in animal sheltering and stewardship. Tonight is the third installment of Nevada Humane Society’s new seminar series for animal lovers; Understanding Your Pet’s Behavior with Certified Animal Behaviorist Kelley Bollen, MS, CABC. The goal is to share helpful information and to celebrate the role pets play in our lives. A $10 donation per person, per session, is requested and will support Nevada Humane Society’s lifesaving programs for dogs and cats. April 9 from 6:30 to 8:00 p.m.
Why Does My Cat Do That and How Do I Get Her to Stop? This seminar discusses the most common problematic behaviors cat owners struggle with and gives suggestions to deal with these issues. May 14 from 6:30 to 8:00 p.m. This seminar teaches parents, and others who work with children, how to read a dog’s body language so you know if the dog is stressed when interacting with children. You will also learn what to teach your children so they are safe around dogs. The seminar series is hosted by Nevada Humane Society, 2825 Longley Lane in Reno. All donations are accepted at the door. RSVPs are not required. 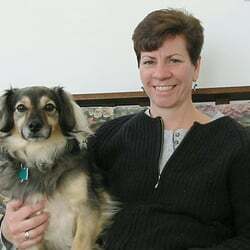 Kelley Bollen has more than 30 years of experience in the field of animal behavior. Her lively and engaging talks help people understand why their pets behave the way they do and provide advice for resolving problematic behaviors. The seminars offer an opportunity for pet parents and the general public to learn from an expert while giving back to homeless pets at Nevada Humane Society. For more information about Nevada Humane Society, visit www.NevadaHumaneSociety.org or call 775-856-2000. About Nevada Humane Society: Nevada Humane Society is a non-profit, charitable, animal shelter whose work is made possible by donations. The mission is to care for pets, find them homes and save lives. The vision is that all pets should have a healthy, happy life. The guiding principles are to promote humane treatment, relieve suffering, operate no-kill shelters and educate and engage the community. Our Federal Tax ID is 88-0072720.